When a new drug enters the market, its full array of side effects remains to be defined. Current surveillance approaches targeting these effects remain largely reactive. 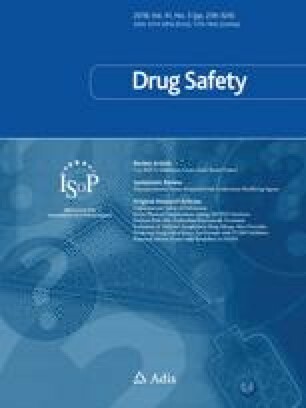 There is a need for development of methods to predict specific safety events that should be sought for a given new drug during development and postmarketing activities. We present here a safety signal identification approach applied to a new set of drug entities, inhibitors of the serine protease proprotein convertase subtilisin/kexin type 9 (PCSK9). Using phenome-wide association study (PheWAS) methods, we analyzed available genotype and clinical data from 29,722 patients, leveraging the known effects of changes in PCSK9 to identify novel phenotypes in which this protein and its inhibitors may have impact. PheWAS revealed a significantly reduced risk of hypercholesterolemia (odds ratio [OR] 0.68, p = 7.6 × 10−4) in association with a known loss-of-function variant in PCSK9, R46L. Similarly, laboratory data indicated significantly reduced beta mean low-density lipoprotein cholesterol (− 14.47 mg/dL, p = 2.58 × 10−23) in individuals carrying the R46L variant. The R46L variant was also associated with an increased risk of spina bifida (OR 5.90, p = 2.7 × 10−4), suggesting that further investigation of potential connections between inhibition of PCSK9 and neural tube defects may be warranted. This novel methodology provides an opportunity to put in place new mechanisms to assess the safety and long-term tolerability of PCSK9 inhibitors specifically, and other new agents in general, as they move into human testing and expanded clinical use. A comment to this article is available online at https://doi.org/10.1007/s40264-018-0702-y. We extend our sincere thanks to Nicole Zaleski, MA, MPH, for her valuable input and assistance with preparing the figures and tables for this paper, and Xinnan Niu for his assistance with preparing the data for publication. The project described herein is supported by Clinical and Translational Science Award award number UL1TR000445 from the National Center for Advancing Translational Sciences. Its contents are solely the responsibility of the authors and do not necessarily represent official views of the National Center for Advancing Translational Sciences or the National Institutes of Health. This project was reviewed and received a non-human subjects research determination from the Vanderbilt University Institutional Review Board (IRB number 151121). Rebecca N. Jerome, Jill M. Pulley, Dan M. Roden, Jana K. Shirey-Rice, Lisa A. Bastarache, Gordon Bernard, Leeland Ekstrom, William J. Lancaster, and Joshua C. Denny have no conflicts of interest to declare that are directly relevant to the content of this study. Prescribing information: PRALUENT™ (alirocumab). Sanofi Regeneron; 2015 [cited 2017 May 22]. https://www.accessdata.fda.gov/drugsatfda_docs/label/2015/125559Orig1s000lbledt.pdf. Center for Drug Evaluation and Research. FDA Adverse Events Reporting System (FAERS). Potential signals of serious risks/new safety information identified from the FDA adverse event reporting system (FAERS) [cited 2017 May 12]. https://www.fda.gov/Drugs/GuidanceComplianceRegulatoryInformation/Surveillance/AdverseDrugEffects/UCM082196.